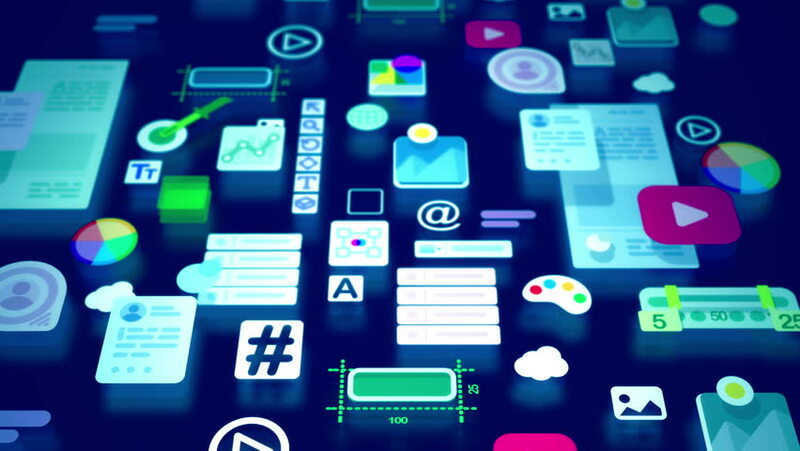 An optimistic 3d rendering of flying interface elements comprising such icons as play, time, at, temperature, data, arrow, photo, number, enter, and so on in the dark blue background. hd00:15Background of the envelope E-Mail,flying mails,future tech screen. hd00:18Information application, using mobile, smart phone, infotainment, car entertainment, social media, connect internet. hd00:20Periodic table of elements animation. Loopable. Blue. Two colors to choose.